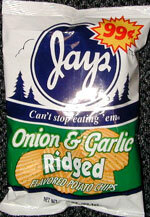 Taste test: Good crunch, ridged chip, and extreme onion and garlic taste. 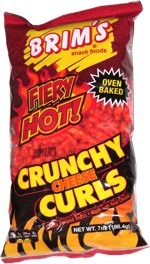 If you want to ward off vampires with your breath, much on a few of these. Keep the breath mints handy after you eat these. Smell test: Smells like stinky feet.